Hello all, today's Campbell's couple are the lovely Ascenza and Franco who were married on a very wet and windy day this week. 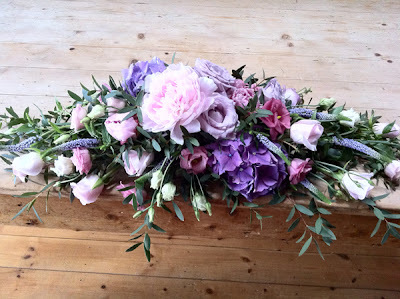 When Ascenza came to visit me she told me her theme was lilac and lavender and that she especially wanted a bouquet with lots of scent and that her wedding was in September. 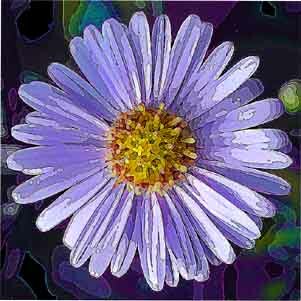 Now, I'm not sure if you have noticed, but we have really pretty pale purple daisy type flower which is a member of the aster family and grows wild along our roadsides at this time of the year. 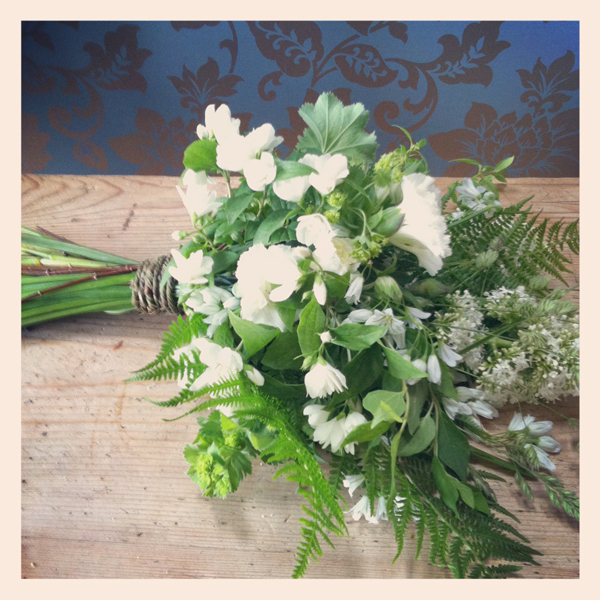 It's aptly nicknamed September flower and when I mentioned this to Ascenza, she absolutely loved the idea of including it in her bouquet. We both also loved the idea that when she saw it growing every year, she would be reminded of her wedding day. 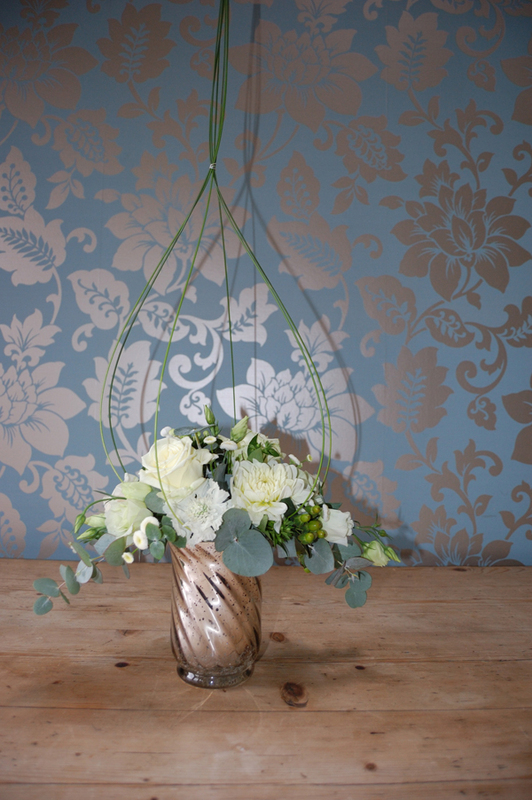 As Ascenza wanted a really soft, feminine and romantic hand tied posy I suggested we go for a 'just picked' style and showed her some of the bouquets I had made this year - she loved them all, so I knew it would be really easy to find just what she wanted. 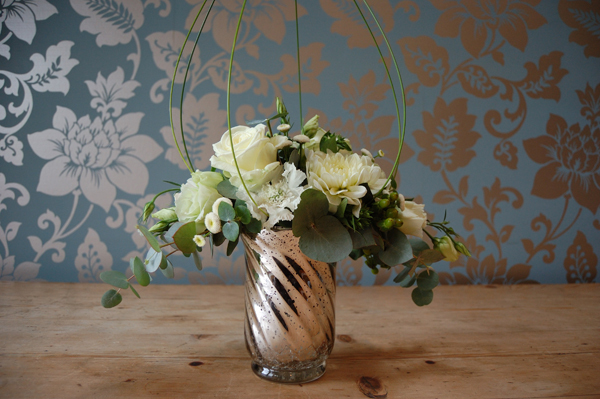 We finally settled on pale lilac freesia for scent and its gorgeous shape - I love the tendril-like quality of its shape. This was teamed with dried lavender, cream spray roses, the aforementioned aster, a little green bell and some gorgeous eucalyptus which complimented the colours beautifully. 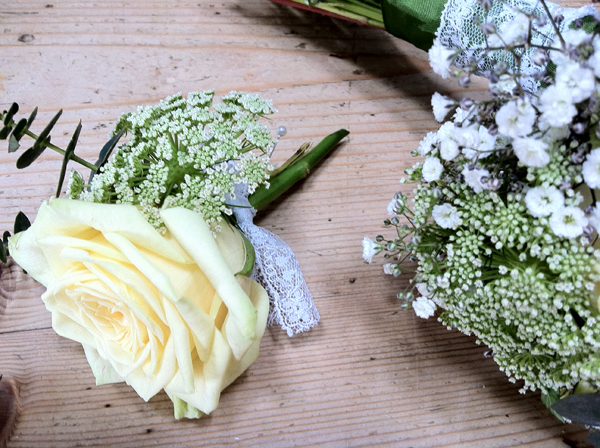 The bouquet was kept very simple and was finished with a lovely cream satin band of ribbon, fixed with pearl headed pins. Here are a few photos of the finished design and I can't wait to see the 'official' ones soon! Congratulations to such a lovely lady - I know I will think of her every time I see September flower in the hedgerows each year! 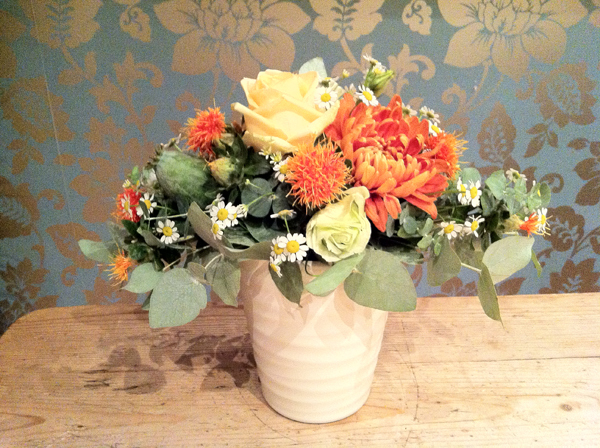 Do you have a particular flower which reminds you of a specific time of year? 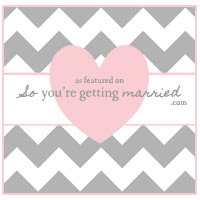 If so, I'd love to hear from you - I might even feature your story in one of our posts too! Email me, or leave me a message below and I'll get back to you asap. Hello readers! Look! I’ve been given full reign over the Campbell’s Flowers Blog this week – I must be rising in the ranks. 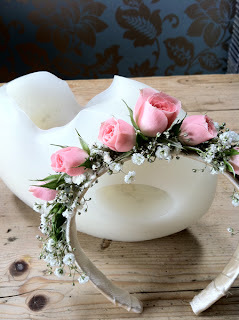 I suspect, actually, it’s really because T is on with the next project so has handed things over to me to tell you all about the exciting time we had at the Designer Vintage Bridal Show at the weekend! First things first, let’s start with a disclaimer by saying I am not a florist, just a kindly best mate always willing to lend a hand to Campbell’s. T will be following up my post with a more (sensible) one detailing her gorgeous creations and all the fabulous, seasonal flowers that went into her designs – if you can’t wait that long though add a comment at the bottom and she’ll answer any flower query you throw her way. So, back to the weekend, and what a weekend it was! There was cake, there was vintage fabulousness, red lippy, teacups, welsh dressers, no surface left uncovered in lace, and then there was rain. T and I had already represented Campbell’s at a few smaller, local wedding fayres but this was the first time we’d attended a larger fayre, a further distance away (don’t get me started on SatNavs!) and over two days. There were more challenges to consider then we had before, mostly with logistics, but the first obvious hurdle was how the flowers were going to do over the weekend. Two whole days out of water, staying in a tent overnight, and no ‘girl cave’ to hand for emergency repairs – the solution? 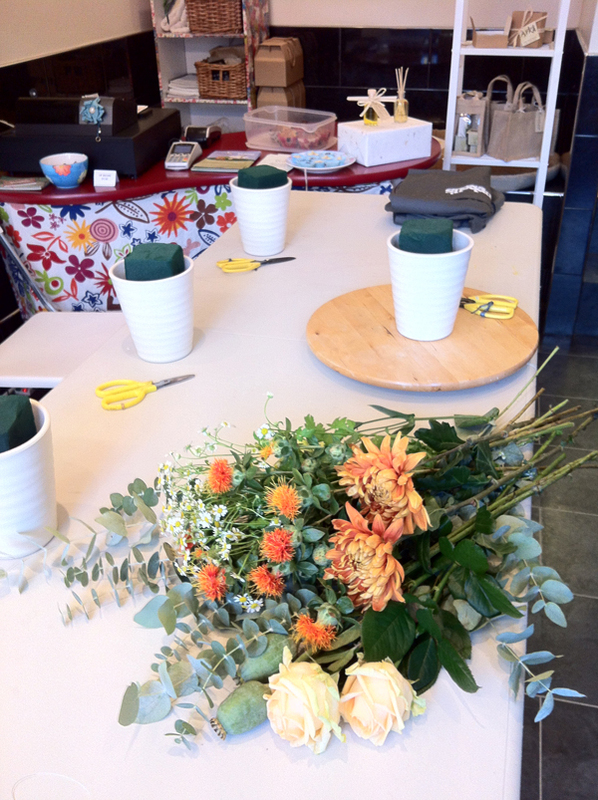 Extra lifting for muggings here as we had to pack extra blooms in buckets of water, floristry wire, spritzers, scissors and all sorts of emergency containers should arrangements not work in the space. 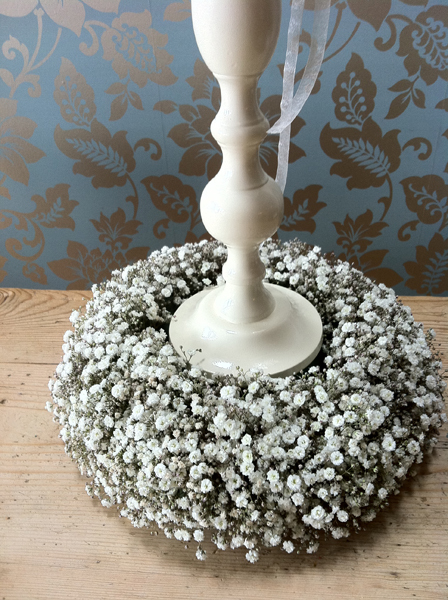 We needn’t have worried though as all T’s creations, plus four pedestals for the venue, arrived on Saturday morning sprightly and sumptuous. Round One to Campbell’s Flowers! En route, however, we had received a text from organiser Bran [of Mother Brown PR] asking us if we required a table for our spot. We believed this was a cryptic trick aimed to catch us newbies out – ha! We weren’t going to be fooled – yes, of course we needed a table, just like everyone else right? Wrong! Groaning under the weight of our car load we entered the marquee at Hagley Hall to be met with the most gorgeous array of stands I’ve ever seen. Our simple table was flanked by the most beautiful wooden sideboard, spilling over with Nick Ray’s impressive photographs, and the other side was dedicated to Vintage Glamour Days exquisite event styling (fronted by the even more exquisite Cheryl who would make Elle Macpherson feel frumpy she’s so glamorous). T and I shared a look, were we out of our depth?! Round Two to DVB Show. Optimism abounded though and we soon had our Campbell’s Flower stand up and running, and she didn’t look too shabby either, with all of T’s glorious designs in their soft colour palette jostling alongside the pretty ribbons and vintage brooches. If there’s one thing we knew from the off it was that we fitted right in here. We have been at fayres in the past where we’re clearly not catering to our target audience. 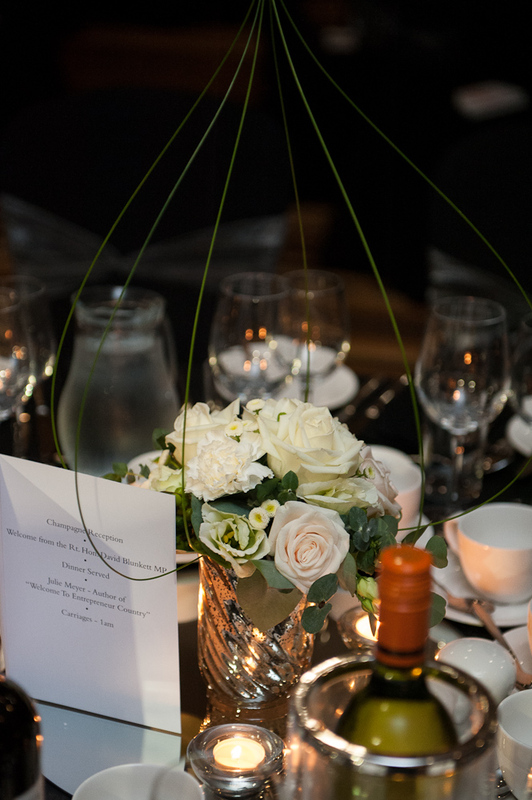 But any event with the words ‘Designer’ and ‘Vintage’ in the title are right down our street, and it was so comforting to be surrounded by exhibitors and brides who shared our taste and style for all things bespoke and hessian-bound! Winklepoppet, decor tips with Caroline's Cake Company, crisps on the lawn with Gavin and Jessie from Lyric Weddings, shoe envy with Ruth and Shine from Shuut Films and goodness knows how many giggles with Sue from fifty o fifty! As it got to Sunday the ‘Party Marquee’ was looking slightly frayed at the edges as we said cheerio to our last bride and began the mammoth task of clearing up. As people began the battle with getting their cars and vans from the car park to the entrance the heavens opened so we were loading up vehicles in the rain, trying not to get any of our flowers bashed or slip over! Then began the slow drive out of the grounds, you can always tell the florists and the cake makers out of a long line of vehicles, they’ll be the ones hesitantly mounting the speed bumps. With everyone slightly flagging but still smiling after a great weekend we circled the tent sharing hugs and goodbyes with some of the brilliant people we’d met. Then a drizzly drive home to M and the girls, a warming dinner, sloppy kisses from the hounds and a cheeky glass of wine before bed! 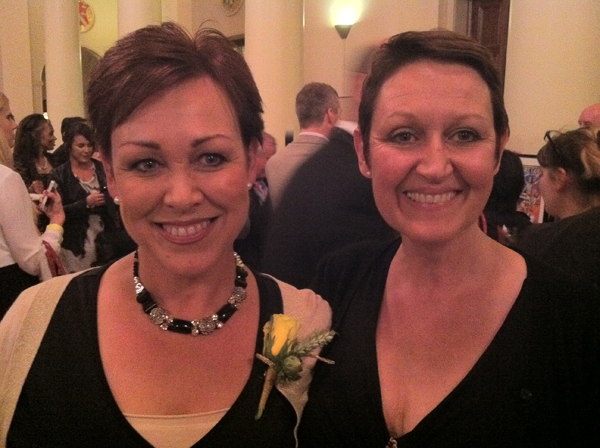 What a fab way to spend a weekend – roll on DVB Show 2013!! Special thanks to Designer Vintage Bridal Organisers Bran, Matt, Rachel and Clare who continually came round to ask if we were ok and if things were running smoothly, despite having a million and one other things to do! And also, simply because it seems we didn’t share foodstuffs with them, thanks to Sara and Rob of Ruby + Diva, Yummy Little Cakes, The Moneypennies and the Photo Emporium for being so lovely too! 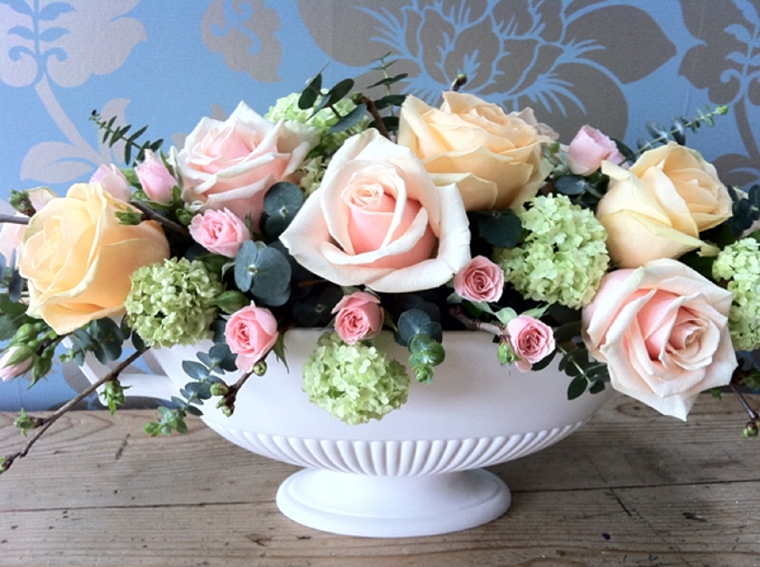 Photo Credits: Tracey of Campbell's Flowers and the Photo Emporium. 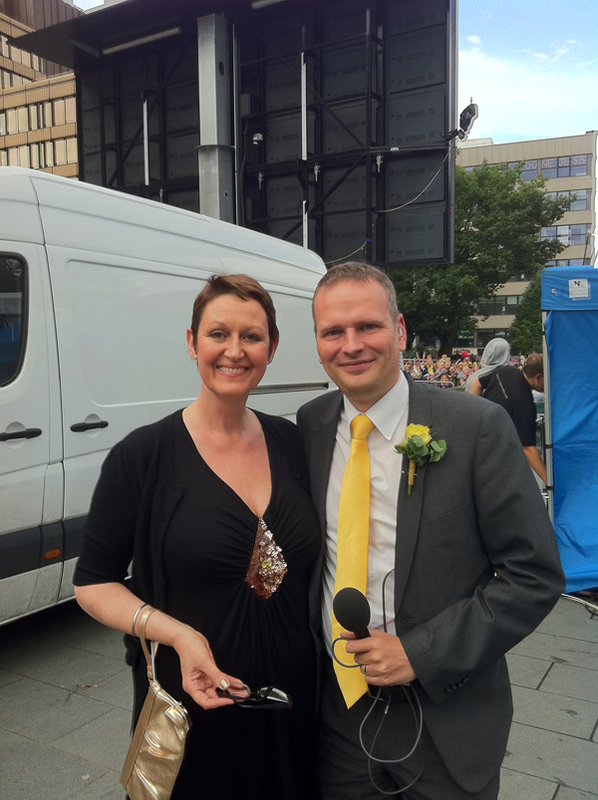 Sheffield's MADE Festival 2012 - You shall go to the ball! To find out more about our latest features in the press, TV and radio, click on what we're up to. It was a crazy last week - so much so, that this is the first chance I've had to catch up with all that's been going on. With Mike Cherry of the Federation of Small Businesses recently announcing that small firms are struggling due to their lack of access to finance, it seemed timely that Sheffield should have hosted the MADE Entrepreneur Festival last week. 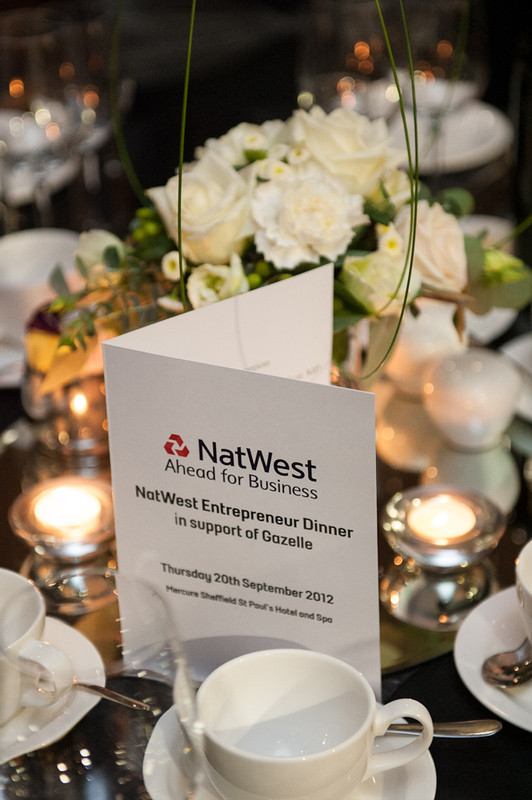 The Festival is in its third year now, and has grown unrecognisably into the country’s biggest and most inspiring festival of entrepreneurship -boasting high profile speakers such as Peter Jones and Claire Young. It was standing room only in the City Hall as inspirational discussions and speakers talked of how small businesses can be successful in the current climate. But the festival wasn't just about high-profile speakers such as Wayne Hemingway from Red or Dead (who was simply brilliant!) as lots of successful local businesses also got involved and shared their experiences through a series of fringe events around the city too. I was really flattered to be not only invited to be amongst such amazing company, but also to be chosen by Creative Sheffield, the council's economic development arm, to represent start-up businesses locally. It was a bit spooky when I found myself face-to-face with a HUGE banner in the exhibition hall! 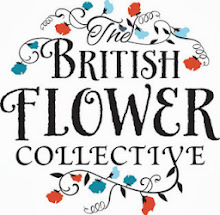 What I really loved though, was that the image and type really goes against the stereotypical idea that floral design businesses aren’t dynamic - something I have a bee in my bonnet about! To be honest, we all know that it’s a tough time to start up a business – especially given the economic climate and lack of funding, but I truly believe that we Brits respond pretty well to adversity and are a nation of creative thinkers. Maybe the time is right to do things differently. I’m a huge believer in offering the absolutely highest level of customer service possible - I think that in an austere social environment, people want to feel looked after, cosseted and spoilt. 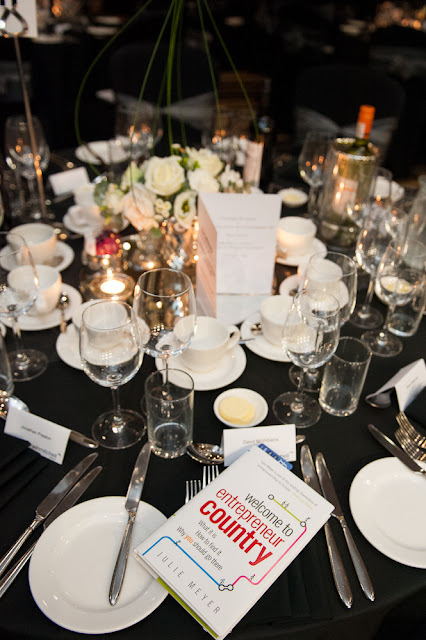 The story doesn't stop there as, in a strange quirk of fate, and through a totally different contact, I was asked to design the table arrangements for the MADE Festival Dinner for over 280 high-flying business guests. The client wanted whites, creams and greens so I suggested the design focus around a white rose for Yorkshire and for us to use really lovely stylish silver containers. They also wanted a little height in the designs but it was really important that they didn't interfere with the delegate's ability to see the after dinner speakers. So I came up with the idea of caging the design in grass to create a lovely soft 'lantern' effect which gave the impression height but we could all see through. My very talented nephew, Harry, took some shots for me - I think he might have quite a bright future ahead of him! 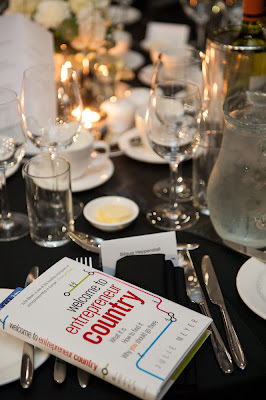 I had an amazing evening and was really thrilled to spend time with fellow entrepreneurs and small business owners and talk about their experiences and I'm most grateful to my host, Creative Sheffield for a such a great dinner. Here are some of the shots courtesy of the fabulous Seven Hills who promoted the event, the photography is by Leo Johnson Photography. 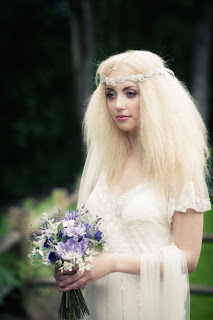 Next up on the blog this weekend's Designer Vintage Bridal show ... amazing! Good morning all, it seems apt in the midst of the MADE Festival, here in Sheffield, that we at Campbell's Flowers are incredibly proud to launch our gorgeous new website today. Taking part in the festival, I had the most inspirational of days yesterday, followed by a fantastic dinner - but more of that later in a separate special post. When I set up my business, I made the decision not to go rushing out and spending a lot of money on a website, but to wait and think and see how the business evolved over a period of time. The blog has been a fantastic stop-gap until I really knew and understood my businesses place in market. As a creative person, I felt the look and feel and the way it builds upon the brand values we've already worked very hard to achieve, was of the utmost importance. I wanted it to be full of beautiful images (taken by some very talented photographers - especially the lovely Mr Niel Stewart) and show how simply beautiful the flowers themselves are, reflecting at the same time our vintage-inspired, romantic design-style. Although the idea is that you'll hopefully want to spend time slowly pouring over the pretties, we wanted the site to be really simple, functional and quick and easy to use. There's nothing more frustrating than getting lost on a site, going round and round in circles! 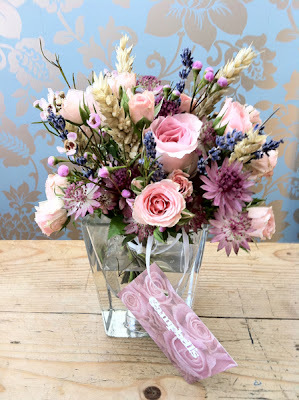 We've thought long and hard about who might be using the site and have come up with some nice little ideas of how to make choosing your flowers easier. One of which, is our gorgeous regular magazine 'Inspire' - a style guide aimed at Brides who are looking for flowery inspiration around a particular theme. Our first issue is 'Natural' and is not only stunningly beautiful, but full of handy tips and ideas on how to achieve your 'look'. Our blog too, is getting a face lift and a little update over the next week or so. 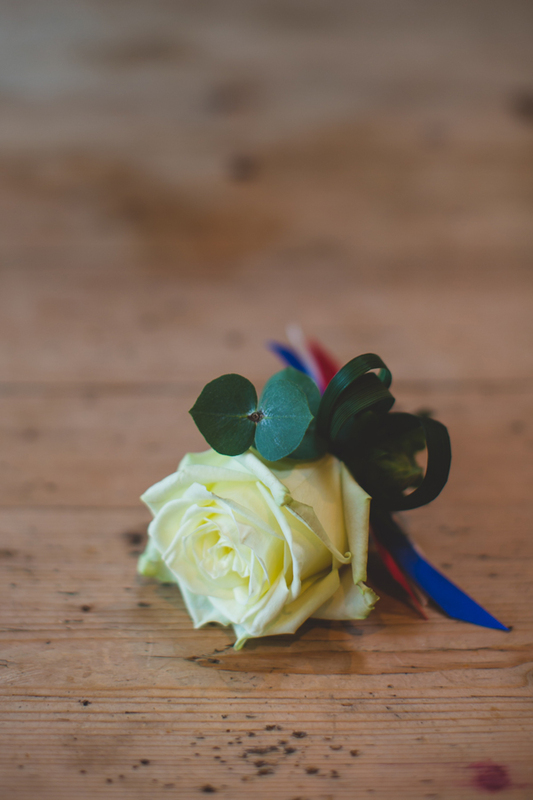 The plan is to introduce a couple of new features which include all our gorgeous Real Weddings and, for you DIYers out there, our past tutorials in one handy little area. My heartfelt thanks go out to the Dream Team who helped me put it together - just fantastic people to work with who really understand me and what I was looking for and to Sheffield's amazing Digital Direction programme - I can't begin to say how glad I am that I went along to the launch on that very cold day in January this year! There's so much more to tell you, but perhaps its best if you pop over to and have a look for yourself. There are lots of great links too - some of which might surprise you! I'd also love to hear your thoughts as to whether the site is all we hoped it would be - please do mention any problems you encounter as the intention is to iron out any 'glitches' over the coming weeks. So, pull up a chair, grab a cuppa and indulge in our fabulous new website! 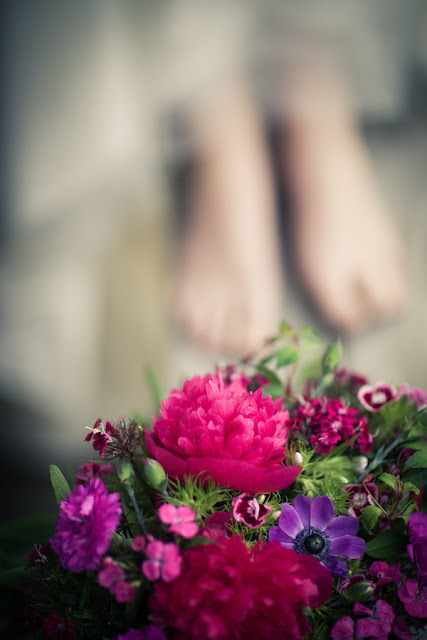 Wedding blogs can be such a fantastic mine of useful information, predicting trends, providing inspiration, giving Brides an insight into the experience of others or simply handing out some welcome hints and tips. 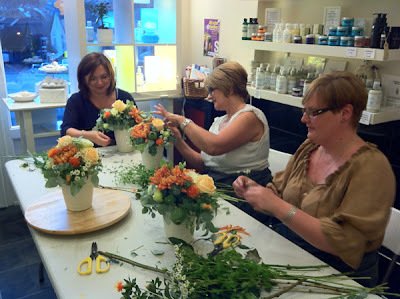 As newish members of this exciting and growing community, we are so thrilled to have been featured on quite a few of the more well-known and prestigious blogs by sharing our flowery knowledge, experience and creativity. 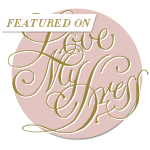 This contribution has been recognised by one particularly lovely blogger, Kelly from the fabulous Boho Wedding Blog and we're especially proud to have been asked by her to be regular contributors. 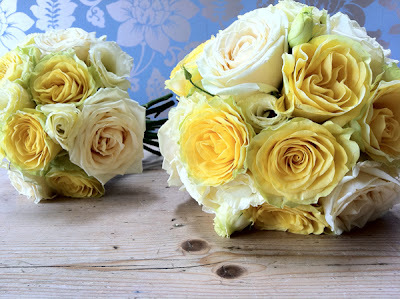 You might have seen our most recent post showcasing yellow wedding flowers or our posts which feature seasonal blooms - a subject very dear to our hearts. 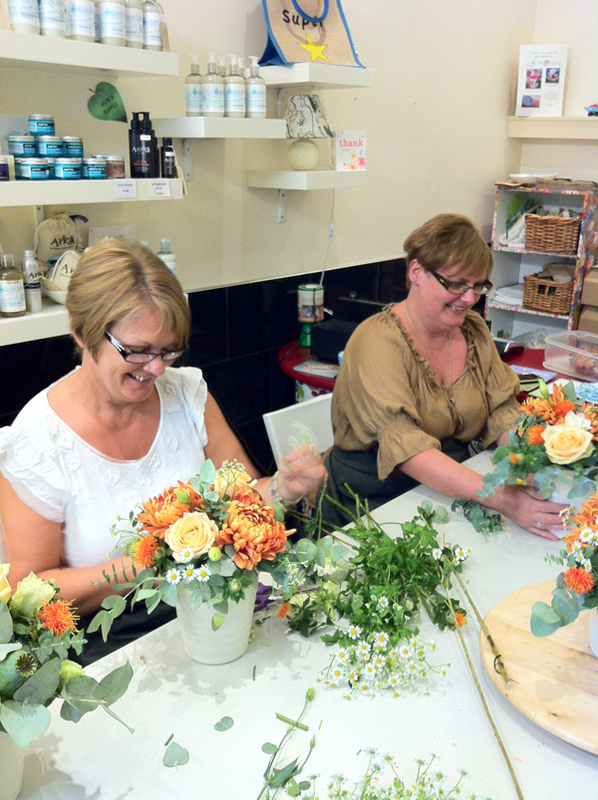 Am really excited at just what the next few months will bring - taking us up to a first whirlwind year in business. Hope you've enjoyed this little retrospective, of course, it doesn't cover any of the lovely glossies, TV or radio we've been featured in ... but that's for another post! If you've any ideas for a post you'd like to see me write or, indeed, thoughts of where I should guest next - let me know! Hello all. Well the new season of Wedding Fayres has really kicked off in earnest again and next week I shall be at the very gorgeous and very prestigious Designer Vintage Bridal Show and so I thought I'd bring you a florist's perspective and some handy hints on what to look for. This post was first guested by the lovely Sara of Under the Vintage Veil earlier this year, but I'm sharing it with you once again as it seems quite timely. Wedding Fayres are a popular as a way of giving a Bride the chance to look over a venue and meet a number of suppliers in one convenient space. They can be a bit hectic, and for those who have never been to one before, a little daunting. 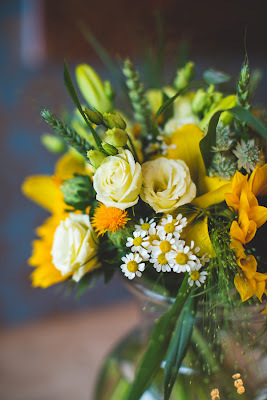 I've also noticed that Brides can be a little shy in coming forward and chatting about flowers, so here are my helpful tips and advice about what to expect and ask - to get the most out of your visit. - Several Bridal bouquets, usually in different styles such as hand tieds, shower bouquets, waterfall bouquets or structured bouquets. 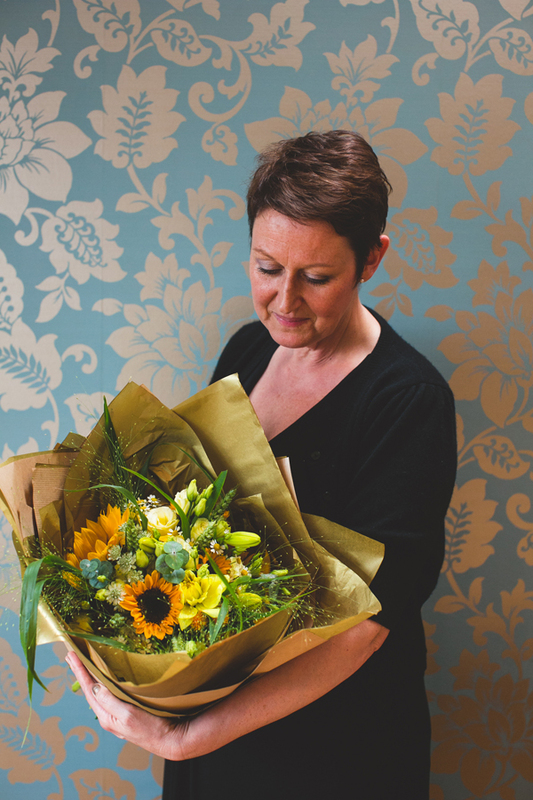 Don’t be nervous about approaching and talking to the florist, after all she or he might be nervous too – a good florist will put their heart and soul into their designs and so go with your instincts. A good starting point is to talk about the venue you have chosen to get married in and discuss the style, theme and any chosen colours of your wedding. 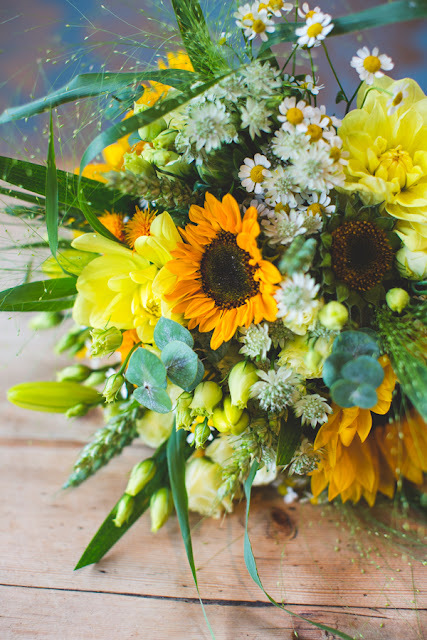 As you all know, I have a passion for seasonal flowers so I'm particularly interested in when you're getting married. That should get the conversation started nicely! Some Brides are attracted to a particular design and often will want to talk about that. 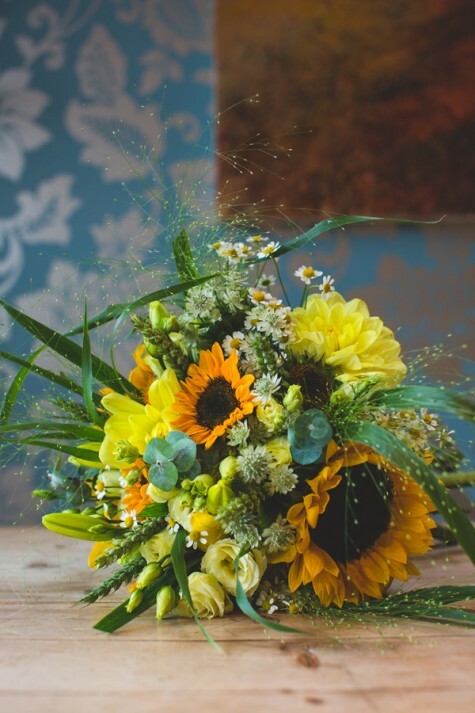 The florist should be helpful, friendly and knowledgeable and you will know very quickly whether or not she or he ‘gets’ you. 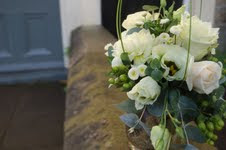 Do remember to ask about seasonal availablilty particularly if you are at a wedding fayre in Spring but getting married in December, again the florist should be able to guide and advise you on the right flowers for your colours. The main thing is to have a nice, informal chat and if you feel you like the person and they’re not too pushy, then take their details or, if you know you love their work, book a consultation there and then. 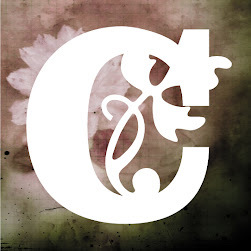 - Look carefully at the style of design – does it feel right? Will it work with your theme? 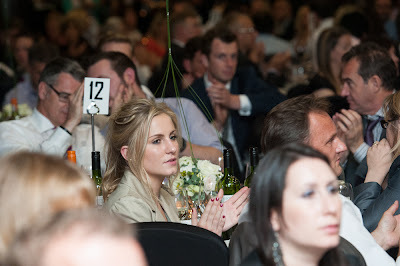 If the overall table looks very ‘corporate’ then it might not work with your Boho wedding. - Don’t be put off if you don’t see your exact colour scheme, remember the table is only 6ft and the designs only represent an idea of what he/she can do! If you can imagine the designs you see in a different colour-way then you’ll be fine. - Ask to see their portfolio (they should have it with them) and check there are plenty of photographs of ‘real’ weddings. It’s very easy to make-up a portfolio full of designs which haven’t actually been ordered. Or even, horror of horrors, copy and paste a photo of someone else’s work. 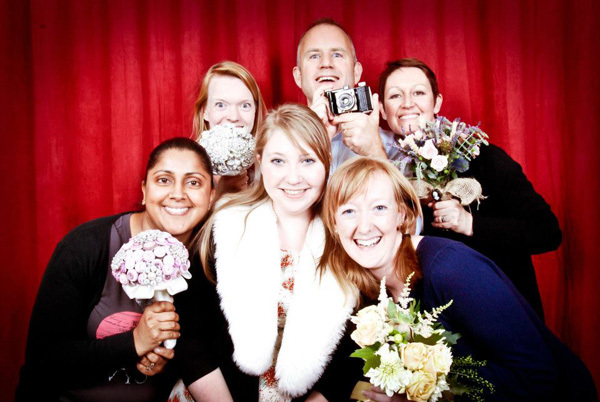 Make sure there are lots of pictures of happy Brides! - Check how the designs are finished, has thought gone into the details such as carefully co-ordinated ribbon on the bouquets? Is everything in tip top condition and well put together? Does everything say good quality to you? One thing to bear in mind is that unlike photographers, accessories designers and many other suppliers at wedding fayres, florists have to pay not only for their stand, but also for their perishable flowers. The event will cost them at least £150 more than everyone else there, and that doesn't take into account a day spent making the designs. So, if you like what they do – please let them know, you can always book a consultation after you’ve had a chance to check out their website. Above all, don't be afraid to chat and give feedback. At my last wedding fayre I had one Bride come over and in answer to my question ‘Is there anything in particular that you like?’ replied ‘Yes, everything!’ (you know who you are Kirsti!). Hope that's helpful - if you need or want any further advice, get in touch. 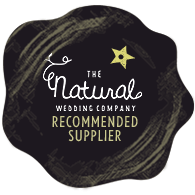 Did you find your dream supplier at a wedding fayre or were they not all they seemed and you had a lucky escape? What was your best and worst experience? As some of you might know, our workshops are now up and running and Tuesday's featured a pretty Autumnal vintage inspired design. After a very quick venue change at the last minute, our lovely ladies entered into the scented haven that is Pure Enough - run by Amy who just knows everything you'd ever need to know about natural skincare. As our class was of mixed experience and abilities, I first talked about what we trying to achieve and how we wanted the final design to look. 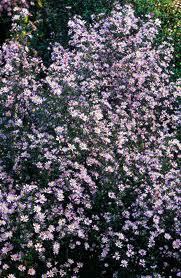 I then introduced the flowers and foliages, naming each in turn. Next I demonstrated how to use the gorgeous eucalyptus cinerea and baby blue to best effect, by creating a clear outline and shape. Everyone then did the same as I moved round the group, advising and re-caping. I then moved on to demonstrating using the flowers to best effect and discussed in detail how, as with many things, opposites attract. We talked about shape, texture and form and I advised the group on why the larger, more dominant shapes work better in the centre of the design. We also discussed the best methods to achieve a more vintage looking design - the secret of which involves butterflies and bees, but you'll only find out why if you become part of our group! Next it was the turn of the group to start their designs and again, I chatted and guided each member through their individual pieces. 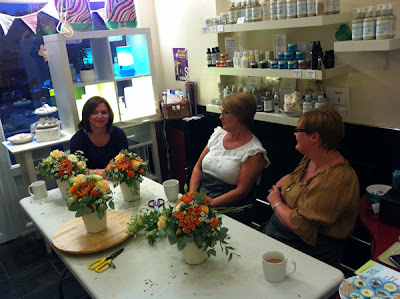 I have to say, it was a fantastically calm, friendly, relaxed environment with everyone making a really lovely design. To finish off, we had tea and freshly baked blueberry muffins and I 'tested' everyone on the names of the flowers - which was the source of much hilarity! There were a lot of jokes - not sure what this one was! No sign of the blueberry muffins! What do you think? 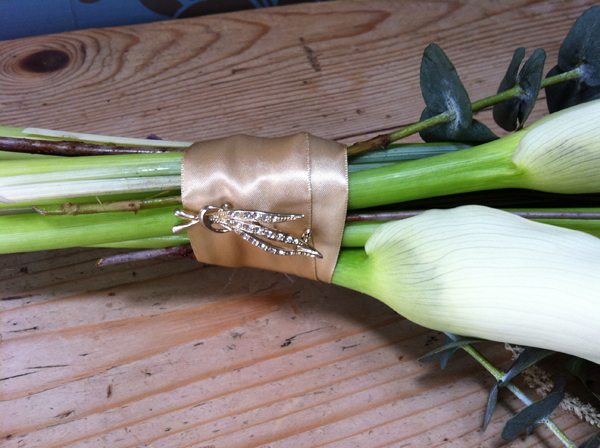 Can you see yourself making the next design - a Baroque inspired lovely using fruit and veg? For more details, click on the Flower School link. PS: If, like my group, you are curious to know more about the gorgeous, natural make-up and skincare products that Amy specialises in, pop over to her fab website and indulge yourself in her range. Or, if you're looking for a lovely gift, give her a call and ask about her very latest range of handmade bath bombs, bath melts and treats. Watching the closing ceremony of the London 2012 Paralympics last night and the Olympic Parade today, I felt like many - sad that such a fantastic Summer which celebrated the very best of the human spirit is now over. Obviously the 'Inspire a Generation' legacy is something which we have to look forward to, but I can't help thinking about how much I'm going to miss all the TV coverage and fantastic stories. 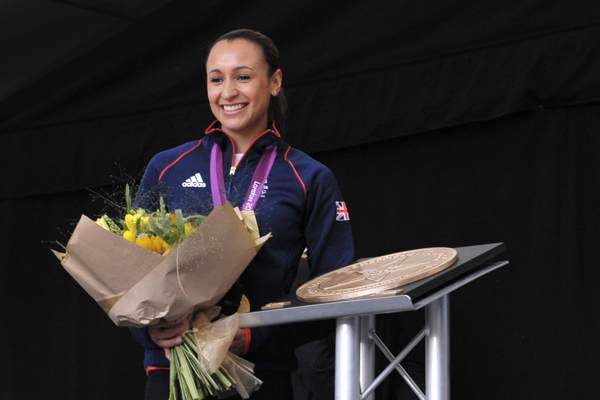 As some of you might know, I became directly involved in the 2012 celebrations when I was absolutely delighted to be asked to design the special ‘Golden’ bouquet presented to Jessica Ennis at the HUGE homecoming organised by Sheffield City Council to honour our very own Olympic champion. Like so many people up and down the country I’d been glued to Olympics and even travelled down with my family to watch the women’s Marathon in the pouring rain one Sunday, just to be part of the atmosphere. 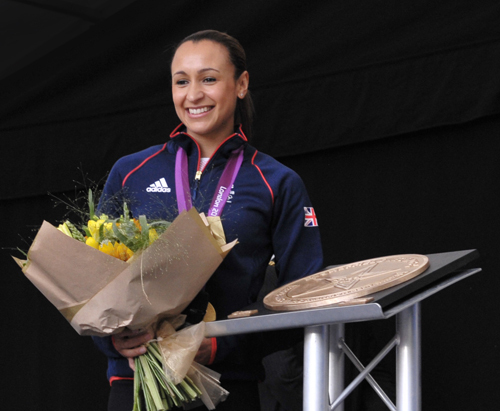 I felt it would be fantastic to be involved with Jessica Ennis’ triumphant return so I contacted the Town Hall as I’d had the idea to provide the Mayor and dignitaries with a red, white and blue buttonhole designed around a white rose of Yorkshire. They loved the idea so much that they suggested I might also like to design something for Jessica herself. I just couldn’t believe it! Being part of the event is something I will never forget as I even got to stand in the special V.I.P area and watch the presentation in front of an estimated crowd of 10,000 people! The evening just got better when I was invited to attend the very special Civic Reception in the evening and meet Jessica herself. She was, as you'd imagine, so sweet, calm and collected and was kind enough to say she absolutely loved my flowers. As a result of my story the national and local press went crazy! 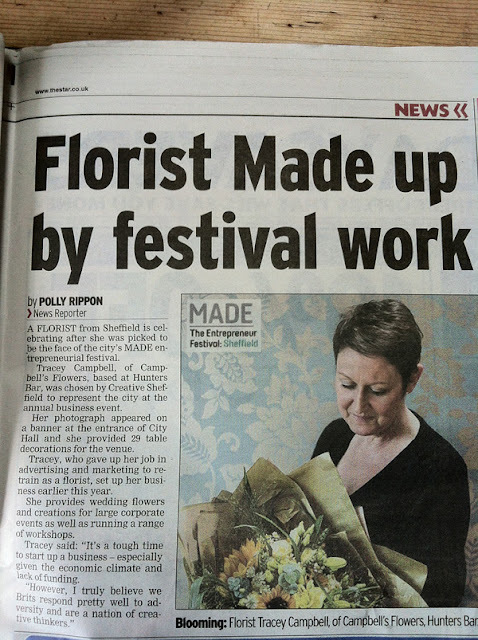 Nationally, my bouquet and buttonholes were featured on the BBC National News, the Daily Telegraph, and the Mail Online and I was lucky enough to be interviewed by BBC Look North and BBC Radio Sheffield - you can hear why I chose the flowers I did and where they came from by clicking on the links. I was also featured on The Postcode Gazette, Florist & Wholesale Buyer, Fusion Flowers and popular lifestyle blog Flowerona. Phew! It was a really intense, slightly surreal week but I loved every minute of it and it was just such a complete honour as you can imagine. 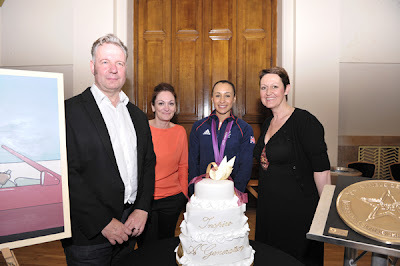 Here are a few photos of the event, in case you missed them. 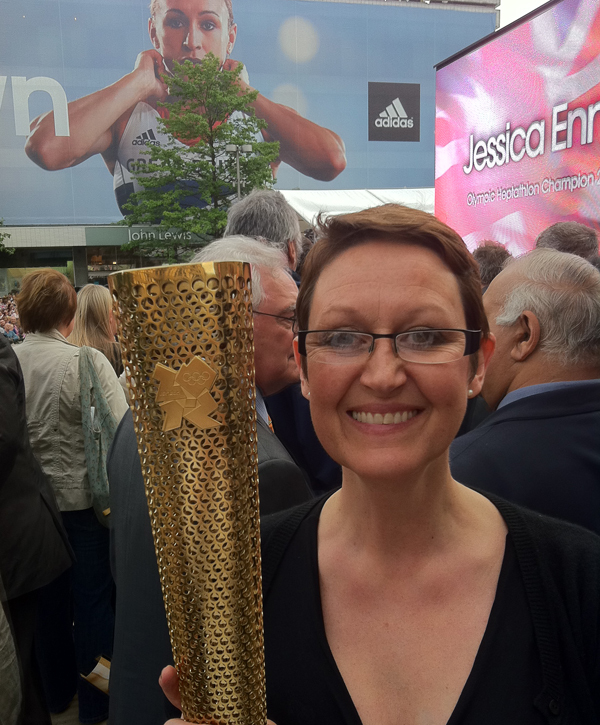 Me with the Olympic torch! Well, that's definitely one to tell the Grandchildren! The 2012 Olympics really, truly inspired me and are something I will never forget.